In 2012, nostalgia is everywhere. While we surge forward with technological advancements dominating our media and communication, we simultaneously gobble up all things old-school. Yet, with record stores closing here and there, including the recent closing of New Haven's Cutler's, it is clear that nostalgia is not enough to save the old record stores. 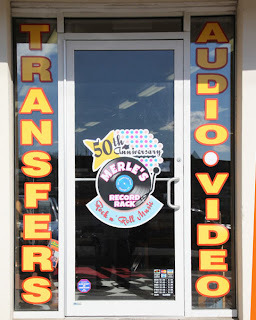 Mike Papa recognized that fact years ago, and thanks to his store's flexibility, Merle's Record Rack can celebrate 50 years of memorabilia, posters, concert tickets, and vinyl. On August 11, Merle's will throw a bash at the store to showcase local music and give back to the customers in celebration of their big anniversary. Papa's store on Racebrook Road in Orange is the last standing of about a dozen Merle's franchises that launched from the original 1962 New Haven store on Chapel Street. Papa had worked for the original store as well as at the Connecticut Post Mall location before he began his own store in 1984. He and his wife actually met as teenagers working at the Chapel Street location. As he saw times changing, Papa expanded the store to include an electronics department with used and reconditioned equipment, and services such as on-site refurbishment of old equipment and transferring old movies from older formats to DVD. “Those are some of the key things-- being diversified enough and yet still keeping it a solid music store and not getting away from the core of the music business and the music industry, but having enough flavors on the outside of it to compliment the core. 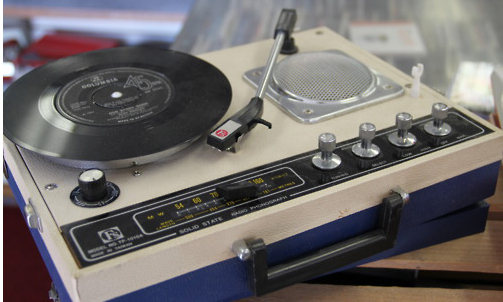 All these other ways we keep business flowing, having a stereo needle in stock, or a belt for your turntable...gives different avenues of generating income, yet they are still in the same field of providing music,” Papa says. Not only providing the music, but the means to listen to it in all of the old analog formats, has really worked for the store and its customers Papa notes that his customers especially appreciate how he makes it “so you can still use the same way to listen to music that you did 30 or 40 years ago.” Of course, all of the service and equipment in the store compliment that great feeling of flipping through tables and tables of records. 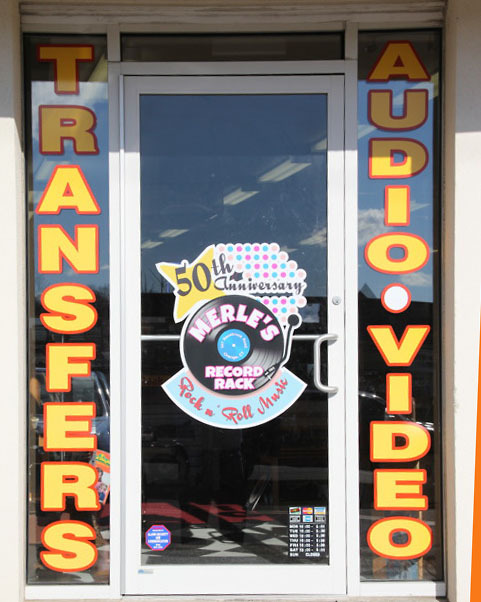 Merle's carries more than 100,000 pieces of music and specializes in old, hard-to-find vintage vinyl and they frequently help customers track down and special-order rare vinyl gems. They also support the local music scene and have had some live music and video shoots in the store. To celebrate half a decade of Merle's, Papa is hosting live music and holding a one-day sale on Saturday, August 11. 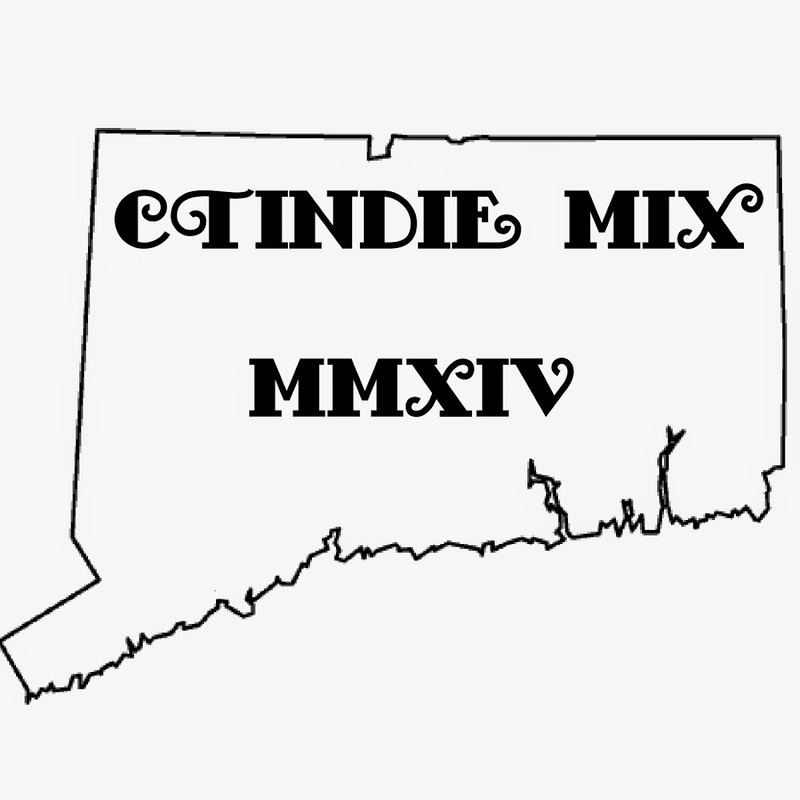 So far, local bands Rum Runners, Native Mode, and acoustic music by Mark Rosenberg are lined up to play right in the store and several other acts are about to be confirmed. Customers can expect to find the same selection and service as usual, but with some extras just for August 11. 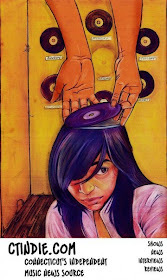 “That day we have a lot of sales, including transfer services and basket bins with $2 records. We'll also have music all day including mostly live music starting around noon and going until around 7,” says Papa. Papa understands that many music fans want more than a download. Merle's provides that real piece of music that you can hold in your hand... and he understands that a lot of the fun is the hunt for that great piece of music you haven't heard in years, especially on analog with all of the frequencies you just don't get from digital. Let the hunt lead you to Merle's on August 11th! Sounds like an awesome place and just like Ameoba Records in Berkeley, CA. I miss going there and digging through the bins. I seldom went looking for a particular item, it was all about the treasure hunt. I also loved going to CD Warehouse in the early 90s. I was young and didn't have much in the way of money to spend on fun stuff, so buying used was the way to go. You could find things that were still in the first month of release because it was bought new and didn't live up to what the buyer wanted. I have other plans on the day of the celebration, but I'm going to see if I can tweak them. This sounds like a great event. Thanks for posting about it.